So you want to start a blog? You’ve come to the right place! I’m a professional blogger with years of experience; I make a full-time income writing online and work from my home. I fell in love with blogging about eight years ago. I had just finished my graduate program and decided to start a blog about one of my favorite hobbies: crafting. I didn’t really know what I was doing when I started, but over time blogging has become another of my favorite hobbies. I enjoy it just as much as crafting – sometimes more. Blogging is perfect because you can fit it into a busy lifestyle of working, caring for children, errands, and other hobbies and activities. There are a variety of reasons people start blogging: for fun, for creative expression, and sometimes even for money! A lot of moms are making a nice little side income these days running their own blogs. That’s how it started for me. I slowly began making a little bit of money and over time it become a more substantial income. YOU get to decide how much time you want to put into it and what you want to get out of it – I LOVE the flexibility of blogging. So how exactly DO you get started? I used to be a blogging newbie, too, so I’m excited to share some of my tips with you. Anyone can become knowledgeable on blogging in a very short amount of time – and I’m going to help you. When people ask me about blogging and how to start, these are some of the concerns they have. I’m going to walk you through each one, and help you start your new favorite hobby today! 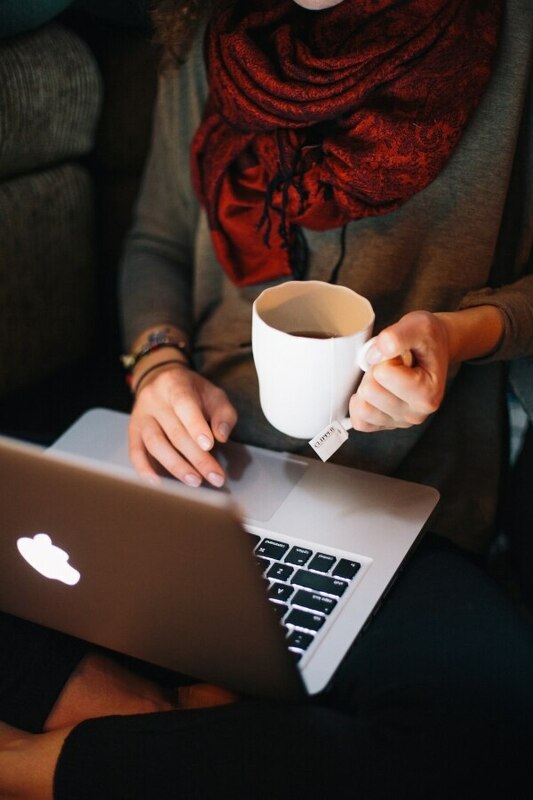 Now is the perfect time to start your very own blog. You can save 30%* on all new products from GoDaddy with coupon code CJCCOUP30 — Get started blogging today! When a baby is born, the first thing parents usually do (if they haven’t already) is give that baby a name. Your new blog is your “baby” and it needs a name! You might already have something in mind, but I find that naming is the part that most people struggle with! If you have NO ideas, I always recommend brainstorming with friends and/or family that know you best. Tell them what you are interested in doing and have a brainstorming session with eats and beverages. That always gets people inspired and it can be pretty fun! ALL of my domain names are purchased through GoDaddy. And never fear – domain names are (for the most part) inexpensive! It’s very easy to grab the domain name of your dreams. GoDaddy will tell you if your domain is available, and how much it costs. Typically if you buy for longer periods, the name becomes even cheaper. Score big savings with a $.99 .Com domain from GoDaddy — Start looking for your perfect domain now! If your name isn’t available, look at the suggestions below that GoDaddy offers, or enter something else. You can purchase the name now, but you can also do it in the next step. GoDaddy offers a free domain name with their Managed Hosting packages – keep reading to learn more. Readers can interact with you via comments, social shares, etc. There are two options for WordPress hosting – WordPress.com (that means WordPress hosts your blog) and WordPress.org (you will find someone to host your blog). 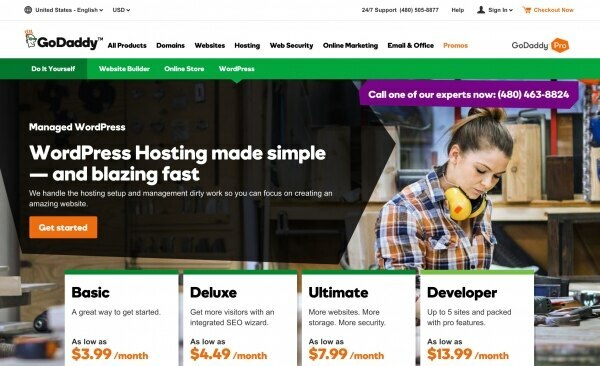 I use WordPress.org, and I use GoDaddy for my hosting. It’s really simple to set up – here’s how. Log in to your GoDaddy account and navigate to their WordPress hosting area. Select your package. Start with the Basic package if you are a newbie blogger – you can upgrade later if you need to. Select your free domain name. If you have purchased a domain name, click “I don’t want my free domain name.” You’ll be able to connect your domain name to your hosting account later. Select your time frame. The longer you sign up, the better the discount you’ll receive! Choose any extras you’d like to go along with your hosting account. Now you can set up your WordPress hosting account! It takes about five minutes. Click the green “Set up” button. Create a New WordPress Site. Select your domain. You can also use a temporary domain before your site goes live so that no one can see it before you are finished setting it up. If you are a first timer, you don’t need to worry about that. Create your WordPress login credentials at the bottom, adding your email address and entering a password. If you choose to have a custom email address using your domain, you’ll be able to set that up later with the help of GoDaddy customer support. I have used their customer support MANY times over the years and they are amazing! You’ll receive a message on your screen: “setting up your WordPress account . . .” When your account is ready, you will receive an email with the login URL and your username that you set. You can close the other window. Click that link and bookmark it. You’re in! This is a great article that will teach you how to upload your theme very easily. Plugins are another great way to customize your blog. There are hundreds of thousands of plugins available – some for free and some for a fee. To master both themes and plugins, I recommend searching your topic online or purchasing a book. 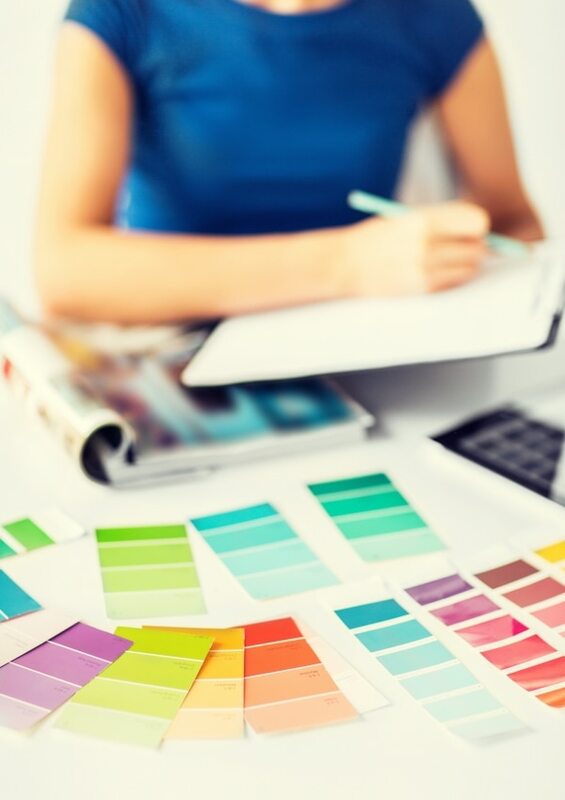 Many theme and plugin designers will provide complete instructions along with their product, which makes it very easy! There are unlimited ways a blog can be designed using a template and plugins. My suggestion is that you start with a template out of the box made for beginners. As you learn more about WordPress and how templates and plugins work, you can customize more. If you ever want to know what template someone is using (as well as their plugins! ), THIS is a great site. Even seasoned bloggers have days where they aren’t sure exactly what to say. It happens to the best of us! One of the best ways to come up with blog topics is to take a look at some of your favorite blogs and think about how you would write about those topics. What’s your unique take? I think one of the common misconceptions of blogging is that you have to blog every day – or even have a normal posting schedule. Neither of those things are true, especially when you are a newbie. Worry about that later in your blogging journey! Enjoy blogging for what it is: a fun hobby and creative outlet. Simply blog when you desire and don’t put pressure on yourself. So many people have written articles on blogging – if you have a question, there is a 110% chance that you can do a quick search and find a book or blog post on the topic. My suggestion is that you sign up for your favorite bloggers’ newsletters and absorb as much information as you can, when you can. There’s a lot – but that’s the fun part of blogging. There’s always something new to learn. AND you can fit it into your schedule. I hope you’re ready to begin your creative journey and start your new blog using my tips above. I’d love to hear any questions you have about blogging in the comments. *Not applicable to ICANN fees, taxes, transfers, premium domains, premium templates, Search Engine Visibility advertising budget, gift cards or Trademark Holders/Priority Pre-registration or pre-registration fees. Offer good towards new product purchases only and cannot be used on product renewals. Cannot be used in conjunction with any other offer, sale, discount or promotion. After the initial purchase term, discounted products will renew at the then-current renewal list price.